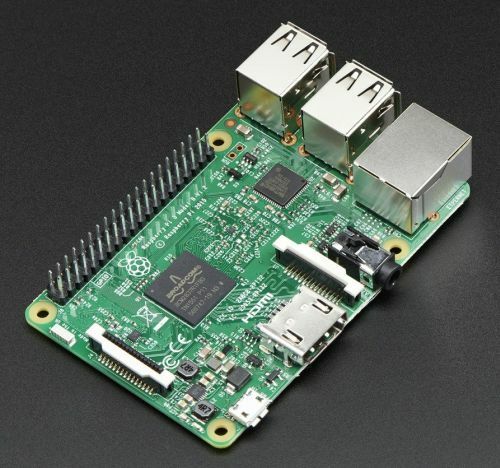 On February 29, Eben Upton announced that the Raspberry Pi was four years old, and to celebrate, the Raspberry Pi Foundation had released the Raspberry Pi 3. I grinned a little: The RPi is a Leap Year baby, and so it might conceivably be considered one year old, since we haven't had another February 29 since its initial release in 2012. A 1.2 GHz 64-bit quadcore RM Cortex A53 CPU. 802.11n Wi-Fi and Bluetooth 4.1 right on the board. A VideoCore IV graphics system running at 400 MHz, with the 3D core running at 300 MHz. Most of the other specs match the RPi 2: 1 GB RAM, HDMI video capable of 1080p at 30 fps, four USB ports, a 1000BASE-T Ethernet port,composite video, and the same GPIO bus. Many years ago, I think back in the VDM era, I predicted that computers would eventually become swellings along the wire between the keyboard and the screen. We're well along toward that day, but with Bluetooth on the board, there won't be a wire between the keyboard and the screen at all. In fact, there's no reason not to just bolt the computer to the back of a TV or monitor using the VESA mount holes. That's what I did with my RPi 2, and I'll use the same mount for the RPi 3, whenever it shows up. It'll basically become part of the TV, and it'll talk right to my Logitech Bluetooth keyboard/mouse. I had another thought about mounts for the Pi: Most Dell monitors from the last ten or twelve years have a tab-mount system for amplified stereo speakers built into a bar beneath the lower edge of the screen. The bars are cheap on eBay (look for Dell part #AS501, though there may be other SKUs that snap into those same tabs) and I'm tempted to cut one open and see if I could "persuade" the bar to accept an RPi 3 board, or at least mount a board on the back of one. If I had a 3-D printer I would sketch up a snap-in Dell monitor RPi mount designed for those tabs. So what will I do with the board when I finally get one? First of all, it will replace the Pi 2 I have bolted to the back of a 23" Toshiba widescreen TV. As I did with the Pi 2, I'll install Libre Office and several other productivity and graphics apps, just to see how much faster they run. But most eagerly, I'll be installing Lazarus 1.6. I haven't done a lot of programming over the past year because, well, I've been moving us to Phoenix. I miss it. As I've said here perhaps too often, Lazarus has made programming fun again. Sorry, C/C++ is drudgery, and Python makes whitespace significant, sheesh. (I do like TkInter.) Lazarus on the RPi 2 is nowhere near as sprightly as Lazarus on my Intel quadcore. The Pi 3 can't help but be better. I'm strongly tempted to continue the (suspended) adaptation of my book Borland Pascal 7 From Square One for Lazarus/FreePascal, because students should be aware that C and Python are not the only damned programming languages in the world. I don't know of anything in Lazarus' class for C/C++ nor in truth any other reasonable language. There are supposedly 8 million RPi boards in the world now. 8 million. That's one helluva potential audience. On the other hand, if I don't get some traction on a new novel pretty soon, Certain People are going to skin me. I thought I was retired. I thought retired people were bored. I recall being bored for half an hour once, in (I think) 1967. Whatever the opposite of bored is, I am. The Raspberry Pi 3 isn't going to help with that. Why did we want a Note phone at all? I have a lot of Samsung gear, and for the most part it’s been reliable and delivers what was promised of it. The Note 4 is bigger than my 2011-era Droid X2 (a feature I wanted, irrespective of the ghastly coinage “phablet”) but still small enough to fit in my shirt pocket. (I made scale cardboard cutouts of all the major phones I was considering and did the test on several shirts.) More compute power was basically assumed, since my Droid was almost five years old. I wanted a larger, brighter, higher-res display. I wanted S-Health, a piece of Samsung software that does several useful things, like tracking steps and measuring blood oxygen. Carol wanted a stylus. Her fingers have a somewhat strained relationship with touchscreens, and unlike me, she texts a lot. The stylus works perfectly for her. I didn’t really intend for this to be a review, because by this time I’m guessing it’s pretty hard to find anybody selling Note 4s. Several people have asked me what I think of it, and what I’m doing here is gathering my thoughts on its first ten or twelve weeks in my pocket. I like the phone a lot, and most of that cooks down to one thing: It consolidates several functions into a single slab. Prior to getting the Note 4, I did most of my ebook reading on my Kindle Paperwhite, which is still a marvelous item. However, it’s another slab, and if I’m running around it has to be carried somewhere. I was poleaxed at how good the Note 4 display is for text, assuming you’re not out in the sun. It runs the Kindle app, and it’s in my pocket any time I’m awake. So if I need an e-reader to kill some time in an unexpectedly bad line at the Post Office, it’s always there. 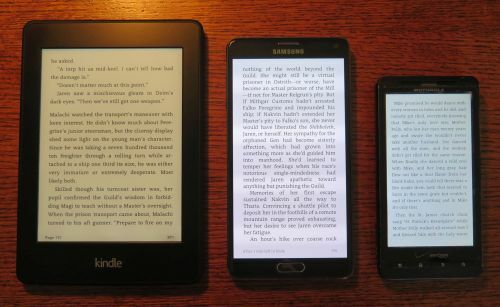 In the photo above we have, L-R, the Kindle Paperwhite, the Galaxy Note 4, and the Droid X2, all running the Kindle app. I still lean toward the Paperwhite when I’m sitting in my comfy chair at home, but the Note 4 comes very close to the same experience. It has a surprisingly capable digital camera, which (given sufficient light) takes very good HD video. The pedometer/blood oxygen/heart rate monitor serve specific needs of mine right now. I’ve tested the phone performing those functions against other instruments I have at home, and it agrees with all of them. I actually measured out a two-mile walk on MapPoint and walked it with the Note 4 in my pocket and its pedometer feature active. It agreed with MapPoint on the distance to within a couple hundred feet. I’m guessing that GPS helps out a little, as S-Health makes no attempt to physically measure my stride. On the downside, battery life is nowhere near as good as on the Droid X2. I suppose that’s reasonable, given the device’s greater compute power, but it is annoying. When I’m at home, I find myself plugging it into the charger no later than 3PM and sometimes sooner. I’m not entirely sure how well it would handle a full 14 hour day. When the battery falls below 40%, I simply stop using it. If I had to be away from a charger for over a day (unlikely but possible) I would carry an extra charged battery. Which brings me to the second point of this entry: The mysterious disappearance of replaceable batteries and SD card slots in modern smartphones. I specifically wanted the Note 4 because the Note 5 has no SD slot, and a non-replaceable battery that limits the useful life of the phone to the life of a single battery. Some say it’s a cost issue, which is nonsense, especially on a $500 high-end phone. Some say it’s a security issue, which puzzles me, since the phone can be set not to deal with apps installed on an SD card. No, these are excuses. I am pretty damned certain that the carriers are putting enormous pressure on the manufacturers (who sell most of their phones through carrier upgrades) to get rid of the card slots. The reason is simple: The carriers want to charge you bigtime for network data, and if you can sideload all your music and movies onto a 128 GB SD card, they won’t get paid when you don’t have to pull them down from the cloud. The battery is collateral damage, because the best excuse for a missing SD slot is to give the phone a back that can’t be removed. Planned obsolescence is a particular loathing of mine. 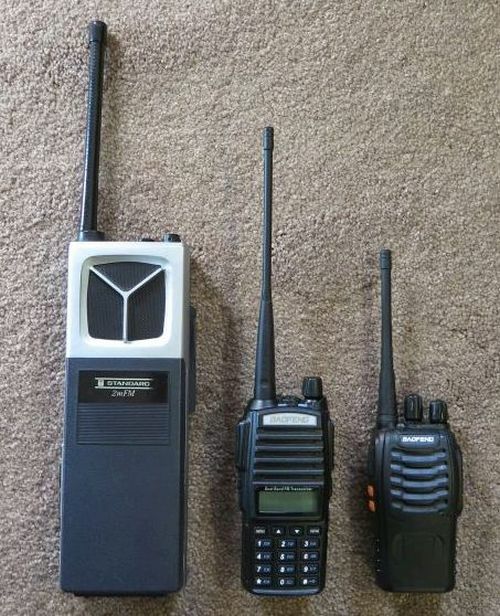 When I like a piece of gear, I want to be able to use it as long as I choose. (We drove our 1995 Plymouth Voyager for almost 20 years. We’ve had our 4Runner for 15 years now, and intend to go for 20 there as well.) Microsoft’s enormously pesty Windows 10 upgrade offer falls into that category. I like Win7, and feel that it’s by far the best version of Windows yet. I see no reason to stop using it. Sooner or later, MS is going to make the upgrade mandatory, or at least slip it in under the door in the middle of night, rather like Congress did with Obamacare. What happens then I don’t know and probably won’t talk about, except to say that I will keep on using Win7. Or perhaps switch to a Linux distro that’s been tweaked to look just like Win7. I have Zorin (if not the latest version) and may consider something like RoboLinux that runs Win7 in a VM. We’ll see. The note 4 runs all the apps I’m used to running: Voice Search, Google Maps, Weather Underground, Sky Map, Waze, GPS Test, SoundHound, a couple of dumb puzzle games, and whatever else comes with the phone. Response is more than perky enough for my needs, which are nowhere near as smartphone-centric as a lot of people’s. Bottom line: It’s a good phone. It can be loaded to the gills with Flash memory, and you can keep a spare battery in your pack. If you have one, take care of it, because given the carriers’ data-based business model, we may not see its like again. Several weeks ago, Carol and I got stuck in traffic on I-25 on the south end of Denver. We were trying to get home to Colorado Springs, and traffic was at a standstill. We didn’t know where the problem was, nor how to get around it. So we took most of an hour to get a couple of miles. The next day I tracked down a fuzzy memory of a mobile app that maps traffic congestion using crowdsourced reports from app users. It only took a minute to find Waze. I installed it on my phone, and Carol and I have been playing with it ever since. We don’t punch a clock anymore and have no commute, but whenever we have to go across town (which for Colorado Springs is about fifteen miles tops) we fire up Waze and look at the prospective route. It’s definitely saved us some stop-and-go time, especially on I-25, which is the only freeway we have here. Waze is basically an interactive map on which reports from users are plotted in something very close to realtime. These include speed traps, wrecks, potholes, construction, and other miscellaneous hazards. The reports are generally accurate, right down to the potholes. When traffic is slow, Waze knows it, because GPS can calculate your speed. When two or more Waze users are going slow on a particular route, Waze paints the road in red and indicates what the speed currently is. This is cleverness but not genius. Back in the wardriving era when GPS was first commonly available (back in 2000-2003 or so) I had this notion that a system could gather information about speed traps, if only there were a way to get reports to the central server from user cars. Then, wham! Smartphones happened. The rest is history. No, the genius part of Waze is that its creators turned it into a sort of combination video game and social network. Waze users are plotted on Waze maps right along with the speed traps and potholes. It integrates with things like Foursquare. You get points by submitting reports and spotting errors on Waze maps. (You actually get points just by driving around with Waze running on your phone, which allows them to gauge speeds on the roads.) People with the most points get swords, shields, or crowns to wear on their little ghost-like Waze icons. Intriguingly, you can send messages to other Waze users, create teams of drivers, and other things that I haven’t quite figured out yet, including searches for cheap gas. Even doing as little driving as we do, in three weeks we managed to rack up over 900 points. There’s a stack rank of users for each state. (We’re down in the 100,000 range for Colorado.) Carol got some points for making roadkill out of a piece of hard candy that mysteriously appeared on the Waze map in front of us. If that sort of thing appealed to us, I suspect we would be addicts, like the people with over half a million points obviously are. To be useful, Waze requires that a certain critical mass of users be prowling around your town, reporting things. Here in the Springs, this rarely happens outside rush hours. I’m guessing that in smaller towns, Waze never really gets out of first gear. Like so much these days, it’s a YUH (young urban hipster) phenomenon. As if I even had to mention, it’s yet another driver distraction, probably in the same league with texting. That’s why we only use it when we’re both in the car, and Carol typically does the reporting and the sniffing ahead for congestion. I’m starting to see articles about how cops hate it because of speed trap reporting, which suggests that, at least in large urban areas, it’s working as designed. I like it for the sake of the traffic reports, which I suspect will be even more useful the next time we’re in Denver, or lord knows Chicago. Problematic for one, useful (and sometimes fun) for two. Carol and I are planning another of our canonical nerd parties for later this month, which requires a fair pile of food. We’re tolerable cooks but we’re not foodies, and the skill of putting together enough chow for thirty-odd highly educated and culturally sophisticated eccentrics was not a gene we received. So once again, we’re looking at catering. Which means we’re thinking about T-Bob’s Barbecue. I’d have Ted (the “T;” Bob has been gone for some time) cater the party like a shot. 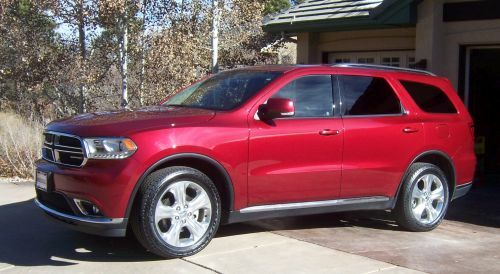 Only snag: He’s at Algonquin and Elmhurst Roads, which is…1,100 miles away. So it goes. When Carol and I are in Chicago, we have an emerging ritual of piling over to T-Bob’s with my sister and Bill after they drop the girls off at school, for a late (or for us, often second) breakfast. 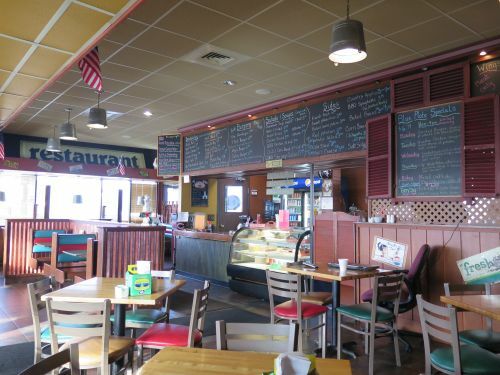 Wonderful place, the sort of one-off eatery we don’t have many of here in the Springs. It’s got deli-style blackboards and daily specials and…egad…Diet Mountain Dew. 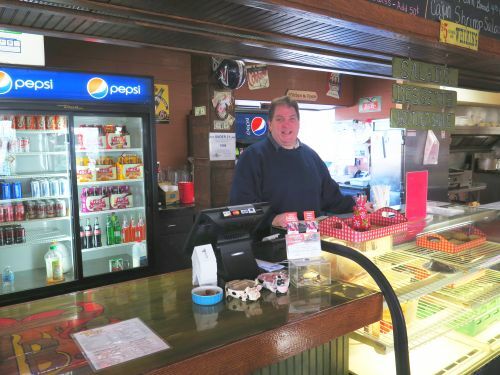 Better still, the guy who owns the place is, as often as not, the guy you see behind the counter. Much good stuff here. Obviously, the barbecue, which comes highly recommended from afionados whom I trust, like Bill. (For still-unknown reasons, nearly all barbecue sauce from all sources disagrees with me, as much as I enjoy it.) I’ll personally vouch for the pulled pork, which you can get as a conventional sandwich or a wrap. Ditto the fried catfish, which is about as good as catfish gets, and swims rings around any other fast-food fish I’ve ever tried. Excellent fries and cornbread. Given that we’re there mostly in the morning, I generally have scrambled eggs, bacon, and hash-browns, and although it’s easy to say you can’t do those badly, trust me, you can. Not here. The eggs are done and the bacon is crisp, the hash browns just brown enough. Coffee’s very good, though in truth, I generally cave to temptation and have Diet Mountain Dew, even with breakfast. (I don’t drink it at home anymore, so having it at all is a bit of an event, given that Carol and I eat out maybe three times a month.) Bob’s got a number of other things you won’t see in fast food contexts very often, like pulled chicken, cane-sugar sodas from Mexico and baked sweet potato. Open 8:30 AM to 8PM, 9PM on weekends. Caters (sigh.) Highly recommended. Lee Hart sent me the guldurndest thing for Christmas: One of his RCA COSMAC CDP1802 Face Card kits. 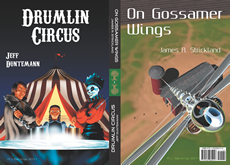 I needed a distraction from a number of things, starting but not ending with publisher disputes. Lee’s Face Card was just the ticket. I haven’t done much PCB soldering in the last few years. Most of what I have done in the electronics sphere was point-to-point, generally on tube circuits. I hadn’t soldered a 40-pin DIP in, well, um…decades? Cosmo and I did the SF con circuit from 1978 to the early 80s, and we were actually featured in Look Magazine, as well as an early cable TV program that no one saw. So I have a certain history with RCA’s peculiar COSMAC architecture, and have built a number of peculiar computers with it. I’m pretty sure none of them were ever quite as peculiar as Lee’s Face Card. Why? The Face Card has no memory, volatile or nonvolatile. It does not run software. Actually, it’s strapped specifically so that it doesn’t run software. (More on this in a moment.) What it does is light up groups of LEDs to make an animated face. How it does this is, well, peculiar: The LEDs are driven from the 1802 chip’s address lines. The data bus is left floating. The 1802, when reset, begins executing code starting at address 0000 in memory. If there’s no memory and the data bus is floating, the chip just executes empty air. The patterns that appear on the address lines aren’t quite random, but close enough so that the LED eyebrows, face, and mouth move in almost random variations. Oh, and the clock speed? One cycle per second. One of the data bus lines has to be pulled high to prevent the binary instruction 00 from executing. 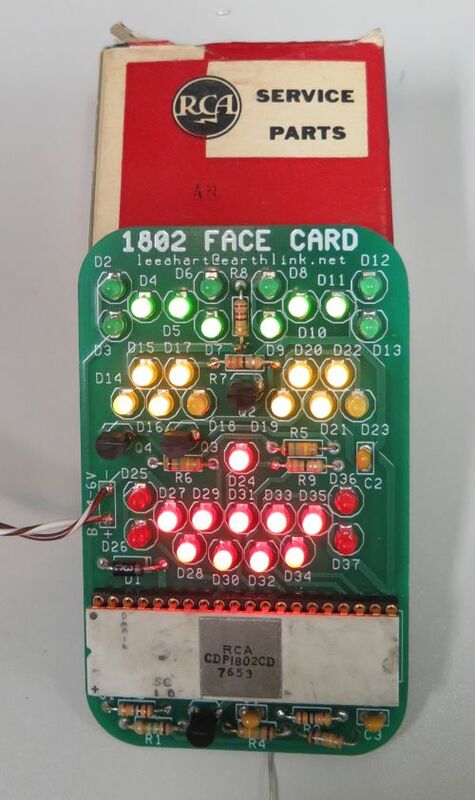 This is the HALT opcode, and if empty air delivers 00 to the data bus, the Face Card will freeze and the face pattern will no longer change. 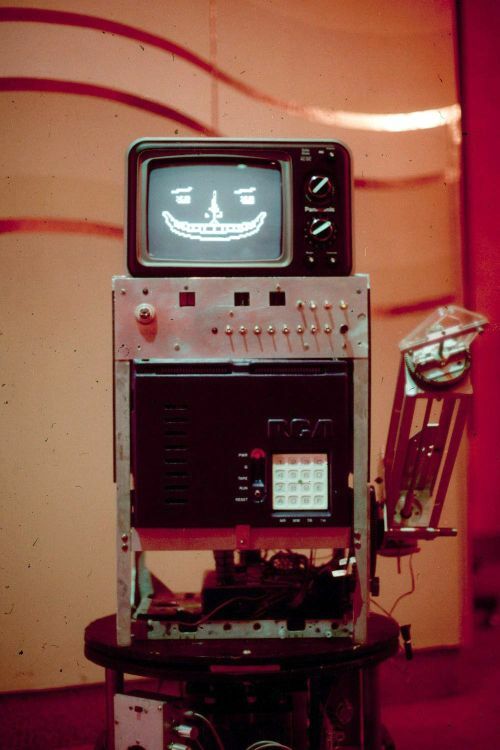 I have special affection for the Face Card because one of the two COSMAC machines in Cosmo displayed an animated face on a portable TV atop his body. Cosmo could look around, smile, frown, and (on a touchtone signal from my 2M HT) lick his chops. I built the Face Card in about an hour and a half. I’m careful, I work slowly, and I test most components before soldering them into a circuit board. It worked as designed when I turned it on. Theoretically, the system can run on any power source from 4-6VDC. I found that a 5V supply didn’t quite cut it. Some of the LEDs didn’t light fully, and the patterns seemed to get “stuck” now and then. The board has been running at 6V for two days now, and things are brighter and livelier. They’ll be even livelier when I cut the clock generator resistor in half and double the clock speed to two cycles per second. $19.95 + $5 shipping. CPU socket not included, but I think using one is a good idea.